In the Us alone there is over 45 million Americans suffering from headaches of one type or another on a daily basis. They put up with the pain. Some become totally disabled during the headache or migraine. Most people initially turn to an over the counter drug such as a non-steroidal anti-inflammatory drug (NSAID) of which there are 3 types: 1) salicylates, such as aspirin; 2) traditional NSAIDs, such as Advil (ibuprofen), Aleve (naproxen); and, 3) COX-2 selective inhibitors, such as Celebrex. Now there are many cases of Chiropractic care taking care of the headache problems not just temporarily but fixed the underlying structural problem that got on the nerve that is complaining in the first place. If your headache starts with tension at the back to the neck or radiates to the temple or behind the eyes, you might benefit from Chiropractic care. Do you experience lights dancing before your eyes and during one of those episodes, you want to be in a dark quiet room until it goes away, then you also could benefit from Chiropractic care. When the nerve that goes to ears, eyes, temple and it pinched by joint malposition, it is often called a headache, but it is actually nerve interference. Once the Chiropractor has adjusted the joints into proper position the nerve no longer screams at you giving you your headaches and you can live pain free. Come in and see what we can do for you. After researching “myths,” Co-author , Dr. Zigler, MD found Chiropractic education is more similar to medical education than it is dissimilar. Dr. Zigler had integrated Chiropractors into his multi-disciplinary spine center where the Chiropractors screen patients for surgical versus non-surgical care. Another co-author, Dr. Cole, MD, stated, “overall, manipulation* has the advantage of reducing pain, decreasing medication, rapidly advancing physical therapy and requiring fewer passive modalities.” (*Manipulation is one of the primary treatment techniques used by Doctors of Chiropractic.) 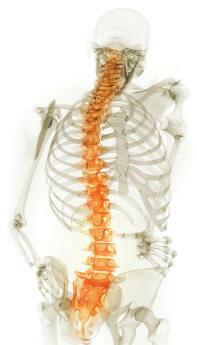 He also recommends spine surgeons refer their patients to Chiropractors.